Cartridge only. * If Like New: in perfect or minor flaw condition * If Good: has sticker(s), sticker residue, or minor problems * If Acceptable has one or more flaws: has stickers, label torn, yellowing, black marker on it. 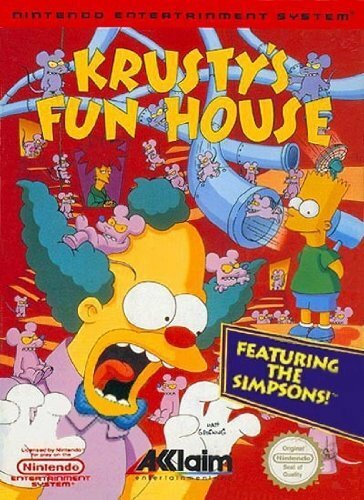 this is a fun game, you play as Krusty The Clown the clown and the object of the game is to get the mice into a mouse "squishing" machine..LOL you do this by placing blocks to make a path for the mice to walk.... its like a lemmings game. the graphics are simple but fun and the sounds are catching.